If you are going to avail postpaid internet plans on Globe Tattoo all you need to submit is the requirements listed below. 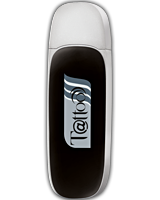 When you avail Globe Tatoo plan you can now enjoy internet anywhere by just plugging your USB modem then clicking connect, just as easy as that. You can avail the plan via Globe Stores or through Inbound Sales Hotline. Just bring the following and go to your Globe business center nearest you. They will discuss to you all the possible options on how you can avail on the Tattoo internet plans. You can ask them how is the process of monthly payment and details on your desire plan like internet speed, rebates, billing and contract period. Do note that all applications are subject for Globe's approval and terms. You may keep in touch via their sales representatives to follow up your application or call their hotline for the status and updates.